A special stud design ensures improved traction, ideal cornering and excellent braking , even on icy roads. 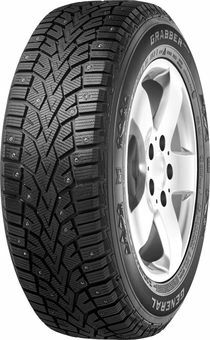 The tyre remains stable in winter weather and keeps the vehicle safely on track when braking and on ice. The tread pattern features numerous block edges, sipes extending into the middle and a high number of gripping edges. The specially shaped sipes enable the tread to pick up large amounts of snow. This results in good lateral adhesion and has a positive impact on braking performance on snow. The computer-optimised, wedgeshaped distribution of tread grooves meets the requirements of “Finnish Legislation”, as it eliminates frequency peaks and ensures a pleasantly low noise level.